In the Thines group, we are investigating physiologic processes in fungi from genetic regulation up to ecological relevance, e.g by molecular interactions with other organisms. 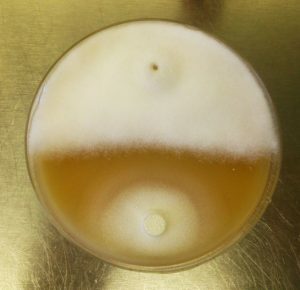 Further, we are interested in the fungal mechanisms, which lead to an adaption to a changing environment. Our research also focuses on the regulation and biosynthesis of fungal secondary metabolites. The significance of those compounds for the chemical communication in ecosystems, or for the fungus-host plant interaction is a major topic in many projects.